The Kenyan gospel industry is mourning the death of legendary singer Jeremiah Mulu. Mulu who had been ailing for a long time, died of cardiac arrest at his home on June 5. The veteran singer who sang mostly in Kamba native language, is known for his hit song Vula Mbeu Nthuku’ which won him the Eastern song of the year at Groove Awards in 2012. He was a talented, hardworking and God fearing artiste according to his fans. Mwanambai: Once again gospel industry mourning! Jeremiah Mulu gospel legend dies after short illness. 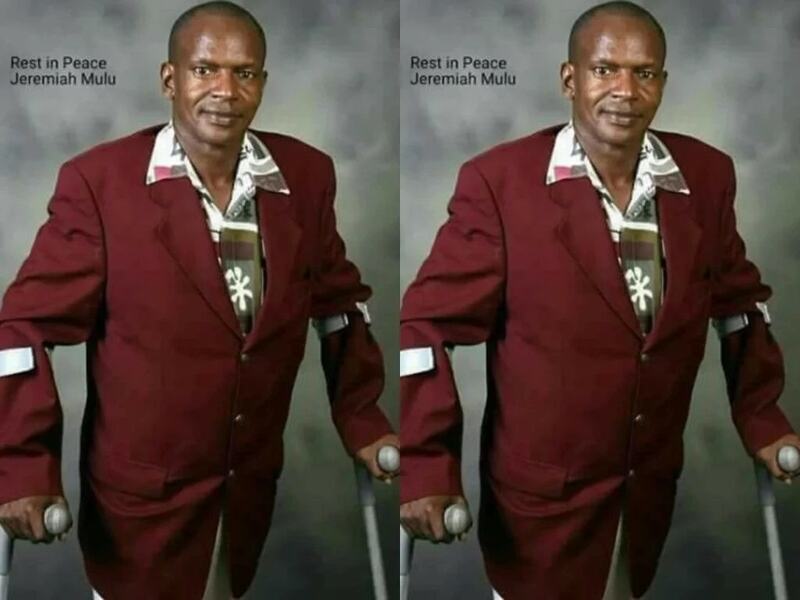 Jeremiah Mulu was an icon in gospel industry from lower eastern. King of kagitaa ka yesu.RIP mzee wetu. My condolences to the family and entire gospel industry. RIP. Sebastian: R.I.P Jeremiah. Your music was a genuine gospel. Till we meet. Justus: RIP Papa Jeremiah Mulu gospel minister, jana nimekuwa na wewe ata siamini. Carol: I can’t believe the demise of Jeremiah Mulu (Vula Mbeu Nthuku). He was my spiritual father and my mentor he supported me the time when I was recording my first Album without knowing where to start and where to end, He helped many musicians to be what they are today, my last time to talk with you, you told me you was admitted at Kenyatta Hospital. I can’t control my tears for your good deeds.rest in eternal peace we shall meet again.